The British automaker launched a multi-faceted campaign around the launch of a "new generation" of its vehicles. The New Generation of Jaguar, a multi-faceted campaign, was launched to support the unprecedented introduction of the British automaker’s XE compact luxury sedan and F-Pace performance SUV. The campaign debuted last month with Master Plan, Jaguar’s villain-themed television commercial. The effort is a continuation of Jaguar’s British Villains campaign and stars British actors Tom Hiddleston and Nicholas Hoult. The original British Villains spot debuted at the 2014 Super Bowl. A "dedicated day of digital" followed the release of the Master Plan ad spot. The digital day’s focus was to create awareness and drive an interactive conversation on digital media around the campaign. The campaign follows the transformation of Jaguar's vehicle line-up last fall, when it introduced five all-new or substantially refreshed 2016 and 2017 model year vehicles. With the rollout of the XE and the F-Pace vehicles, available at U.S. retailers starting this month, consumer awareness about the two new vehicles is paramount to Jaguar. In a release, Jaguar noted that the XE and F-Pace can help the brand to triple its U.S. market share. A unique aspect of the campaign included a "dedicated day of digital," following the debut of the Master Plan ad spot. The campaign team had the goal of garnering more than 361 million digital media impressions on the day of digital activations. "The overall goal was to draw attention to The New Generation of Jaguar in a playful way that invites participation from the broadest audience," said Kim Kyaw, head of digital, social, and CRM for Jaguar Land Rover North America. To do this, a key social component of the campaign was creating the promoted hashtag #UnleashTheCats to drive word of mouth. "For example, a user could post a photo of one of Jaguar’s vehicles in a particularly dynamic state with the hashtag #UnleashTheCats, encouraging others to also post," said Kyaw. "If a user owned a Jaguar, they were asked to take a picture of their vehicle and post using #UnleashTheCats." Outside of a social component, the campaign team also wanted to create awareness through homepage takeovers of popular publisher websites and collaboration with a major social media influencer. Jaguar’s villain-themed television commercial, Master Plan, aired on April 18. In collaboration with Jaguar’s media buying agency Mindshare, the campaign team expanded efforts to digital media on April 19, with homepage takeovers and repurposed Master Plan videos. XE and F-Pace imagery appeared on premium publisher sites including: The New York Times, The Washington Post, ESPN, MLB.com, Rolling Stone and Time Inc. Other sites, such as YouTube and Amazon, also were selectedto display Jaguar content. In addition to the paid digital components, Jaguar leveraged its @JaguarUSA handle with promoted posts over a 24-hour period, using the hashtag #UnleashTheCats. To interact with younger consumers, Jaguar collaborated with social influencer Zach King on Twitter and Vine to create two 15-second videos featuring the XE sedan. The company also placed sponsored content on Instagram and Facebook, encouraging followers to share their Jaguar experiences using the hashtag #UnleashTheCats on the respective platforms. "The challenge here was to be agile within cultural conversation and contextually relevant placements to own the digital conversation of the day and see how it shapes and leads the dialogue," added Kyaw. The New Generation of Jaguar campaign will continue to unfold over the coming months with additional digital activations. There will be separate campaigns for the XE and the F-Pace over the summer. 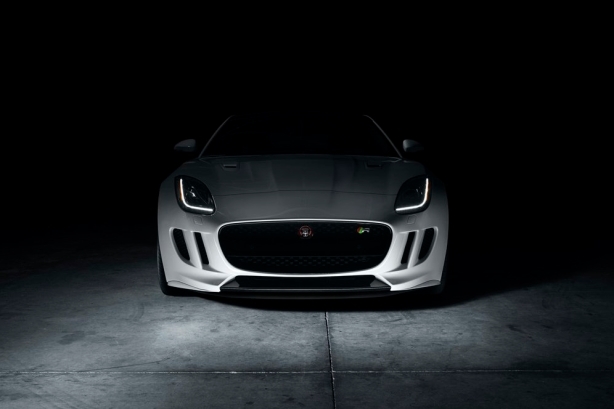 Within one day of the campaign, Jaguar’s homepage takeovers received over 460 million digital media impressions. This exceeded the campaign team’s impression goal by nearly 100 million. Partners included: The New York Times, The Washington Post, Time Inc., YouTube, ESPN, Amazon, Bloomberg Business, Quartz, Spotify, MLB.com, Rolling Stone. Since the campaign’s debut, there has been more than a 300% increase in website traffic and more than a 120% increase in shopping research actions on JaguarUSA.com. On the "day of digital," Jaguar’s campaign team engaged in more than 400 one-to-one interactions with owners, prospects, and fans. Since the campaign’s inception, there have been around 9,000 uses of the #UnleashTheCats hashtag.